Let me start out here by talking a little bit about the man known as the 'Jackie Robinson of Radio', Nat D. Williams. A graduate of both Columbia and Northwestern, Williams began writing a newspaper column about African-American issues way back in 1931. 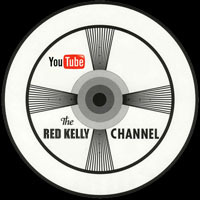 Soon nationally syndicated, his name was known throughout the black community. Faced with bankruptcy, an AM radio station in Memphis made the landmark decision to change its format from Classical to R&B, and hired Williams as the first black dee-jay below the Mason-Dixon line. 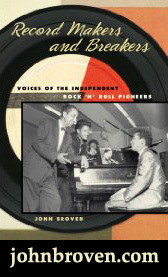 His 'crossing of the color-line' in 1948 proved to be a brilliant idea, as WDIA soon became immensely popular, and proved that 'race music' was indeed commercially viable. Nat's legendary 'Tan Town Jamboree' became one of the most listened to shows in the South, and paved the way for WLAC's white imitators. Williams continued to write his column, and was the man who initiated those fabled 'amateur nights' at the Palace Theater down on Beale Street. In addition to all of this, Williams was also the much loved History teacher at Booker T. Washington High School in East Memphis. One can only imagine how cool it must have been to have a genuine celebrity for a teacher, as he led an entire generation by quiet example, instilling in them the concept that anything was possible, even in the segregated south. A list of his students reads like a 'who's who' of Memphis Soul - Rufus Thomas, William Bell, Booker T. Jones, David Porter, 'Bowlegs' Miller, Maurice White, Louis Williams, Andrew Love, J. Blackfoot... the list goes on and on. This may have been where Nat Williams had his greatest influence after all, inspiring young people to go forth and create. They say he never missed a show in all his years on WDIA, until he was felled by a stroke in 1972. Just a wonderful man, he passed on in 1983, and is fondly remembered by all who knew him. Williams taught two brothers who were coming up in those days, inseparable and willing to sing at a moment's notice, they were named Percy and Spencer Wiggins. Growing up in a religious family, both Percy and Spencer were singing along with their Mother in the choir of the New Friendship Baptist Church while they were still in grade school. Before long they had formed their own group, The New Rival Gospel Singers, which would also include their sister, Maxine. They became a local sensation, and even had their own 15 minute radio spot on WDIA. As they entered High School, their passion for singing remained intact, and both boys became members of the Glee Club. They continued to sing Gospel as well, as part of the Southern Junior Wonders, emulating the quartet sound of the elder group. The Wiggins brothers loved R&B as well, and formed a vocal group called The Four Stars that performed in local talent and variety shows. Upon graduating from High School, the brothers set their sights on individual careers as R&B singers on the hot Memphis club scene. Spencer held down a long time gig at the Flamingo Room, and was often joined onstage by Percy singing Sam & Dave style duets. Quinton Claunch, on the lookout for talent for his new label, caught his show one night and offered Spencer a contract in early 1965. For whatever reason, his first release for Claunch was on the Bandstand USA imprint, apparently a planned subsidiary of Goldwax that never left the ground. 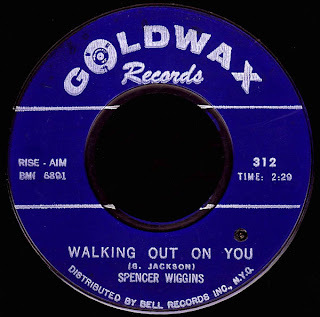 As we've seen, it's difficult to nail down exact studio and session details with Goldwax, as they moved around a lot, but Spencer's first release on the main label was the excellent Penn/Oldham gem Take Me Just As I Am (Goldwax 308) in 1966 (a song which Solomon Burke would take to #11 the following year). Judging by the unmistakable Reggie Young guitar, It appears to have been one of the first records Dan Penn worked on after he made the move to Memphis. In any event, it's a great version, and showcases the full range of Wiggins' incredible voice, which is kind of like a mixture of Wilson Pickett's, Bobby Bland's, and Johnny Adams' (if that makes sense). Spencer had known George Jackson for years before Claunch hired him as a staff songwriter in 1966. The two men understood each other, and worked together for hours at Jackson's mythic broken down piano, writing songs that were custom made for him. That chemistry is obvious in Wiggins' next release for the label, a record some consider to be his best, Old Friend (now up on The A Side). This cookin' blues number you're listening to now was released as the B side of that single. A rough and tumble R&B shakedown, Jackson wrote it, I'm sure, with Spencer's club act in mind. This was just the sort of number to get things going, and the band sure is kicking it there towards the end! Strut 'dat stuff, y'all! What a great record... with a bit of B.B. King creeping into his amazing vocal performance, Wiggins shows that he can belt it out with the best of 'em! 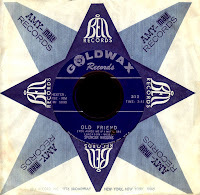 You know there must be something to this whole distribution thing, as Spencer's blistering 1967 version of Uptight Good Woman (Goldwax 321), yet another fantastic Penn/Oldham (and Jimmy Johnson) tune, failed to make the charts, while Chess was able to take Laura Lee's version into the R&B top twenty later that year. On the other hand, Solomon Burke's Fame recorded take on the song became his first release on Bell, and it cracked the top fifty in early 1969. Go figure. The Wiggins version is better than either of them. 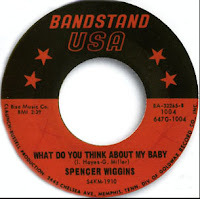 A great talent like Spencer's was seemingly 'lost in the sauce' of the Memphis Soul Stew in those days, as Goldwax's blessing (being right there in the thick of things) in some ways proved to be its curse. Maybe there was just too many great singers, or maybe it was their decided lack of promotion. As he told Colin, "Goldwax never put a show together of their stars. 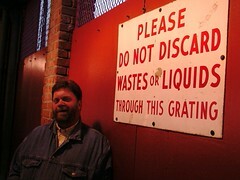 This was my biggest problem and why I got lost at Goldwax, I had no one managing me. I was a young man [but] I didn’t know nobody and nobody knew me... I was young and it was down to the fact then that no one was there to guide me and be interested in me. No one ever approached me and said they would like to be my manager. I was right there with Isaac Hayes and David Porter – I came up with them – they were in the right place at the right time – they were with Stax, and Stax was on the move – Goldwax was on the move but we didn’t really have a good distributor at the time.” Apparently so. After three more singles that didn't do much, Claunch brought Spencer (along with ol' brother Percy) down to Fame in 1969, a point at which the Fame Gang included one Duane Allman on guitar. 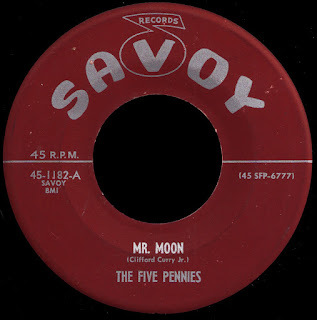 Wiggins' last release for the label (and fifth to last for Goldwax overall), was a smokin' version of Aretha's I Never Loved A (Wo)Man, that features his trademark slide guitar. Although truly a great record, it died on the vine, as the company would later that year. Rick Hall knew there was more 'in the can' from those sessions and licensed the material from Claunch for release on his own Fame label. 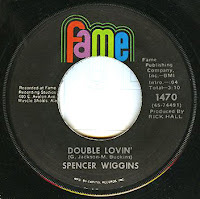 Two excellent singles would follow, the second of which, Double Lovin' (Fame 1470), would result in Spencer's only chart appearance when it hit #44 R&B in the fall of 1970. 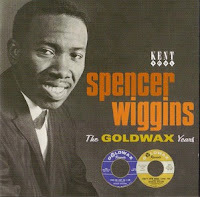 Wiggins would follow most of the other Goldwax graduates (as we mentioned last week) and sign with the MGM subsidiary Sounds Of Memphis. His lone single for the label, I Can't Be Satisfied, is now the title track of the new Ace CD I told you about. There would be two more releases on XL before Spencer left Memphis and moved to Florida in 1973. 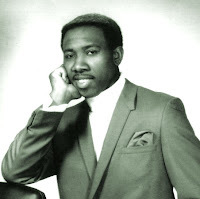 Like so many others, he was having trouble making a living singing blues and soul in the clubs and, in 1976, he would return to his Gospel roots and promise God that he would "sing for Him for the rest of my life." That's just what he's been doing. As a deacon in Miami's New Birth Baptist Church, he leads their music program and directs the choir. 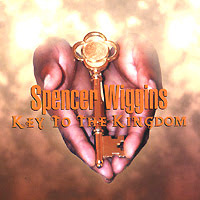 After a locally released cassette of songs he had written got considerable airplay on Christian radio down there, he recorded a Contemporary Gospel album called Key To The Kingdom for Tayvette Records in 2002. Known as 'The Florida Gospel Tornado', Spencer Wiggins is still singing his heart out, just as he did growing up in Memphis way back when. 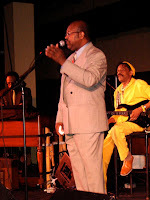 Percy, meanwhile, is still performing R&B in his hometown, where I was lucky enough to hear him sing backed up by Hi Rhythm at the Ponderosa Stomp last year. He was phenomenal. His great Atco single, Book Of Memories, was included on the Atlantic Unearthed collection last year as well. Enormously under-appreciated, the music these brothers have created has stood the test of time. Nat Williams would be proud. 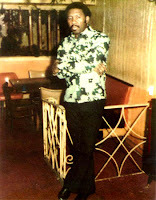 Scholar at Souled On had an interesting link to this new site Natural Soul Brother, about African-American DJs and their contribution. great stuff... I love the 'trailer' on the Natural Soul Brother page. Should be some movie!